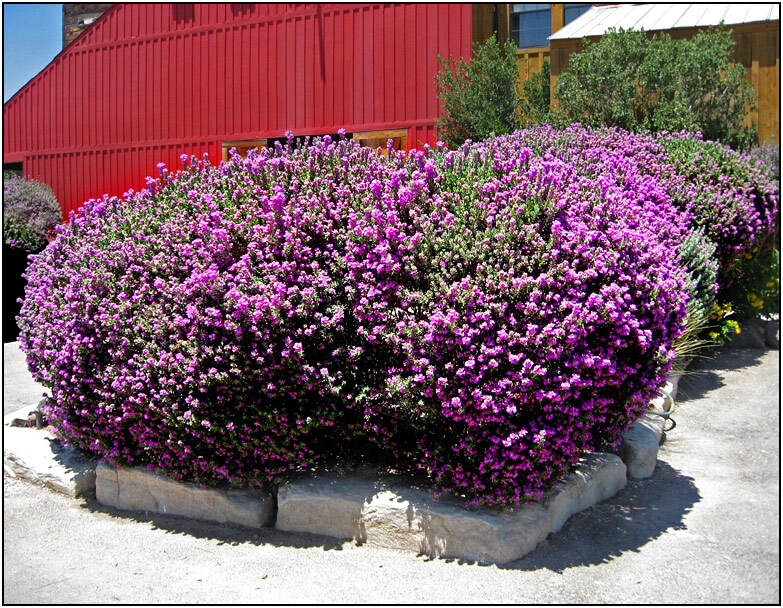 Purple sage -- actually, Texas sage. Though opinions vary, the purple sage in 'Riders of the Purple Sage' is generally thought to be Ute tobacco sage, not Texas sage. This picture was taken in Lajitas. For many years the mayor of Lajitas was Clay Henry III, a "beer-drinking" goat. That's right, a goat. After 2 replacements of the original Clay Henry, the trading post and stable where the mayor lived was closed and the goat no longer resides there.